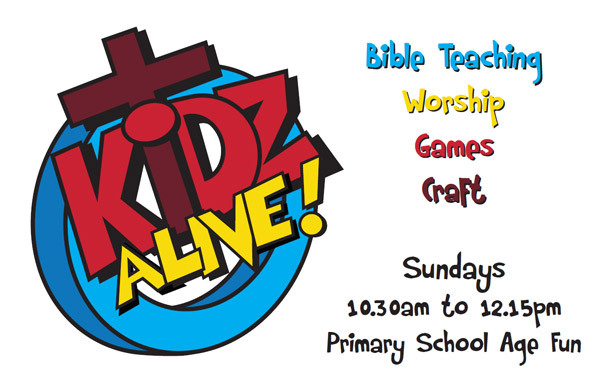 Kidz Alive is for children who attend primary school and includes team games, singing, Bible stories (presented in a fun and interactive way), discussion, colouring/craft and prayer. The morning is fast paced and fun! Children (and their parents/carers) attend church from 10.30am. Children are dropped off at the Lower Hall at 11.00am (approx.) and collected at 12.15. We have a dedicated team of leaders who are all DBS checked. If you are interested please just come along and give it a try. If you would like to find out more information about Kidz Alive then click here and then fill out the 'Contact Us' form.